Quick reviews – What’s the best UK VG and PG e-liquids to buy? Should I use DIY e-liquids or pre-filled e-liquid cartomizers? Should I use pre-filled e-liquid cartomizers? What is a PG e-Juice allergy? Is there a zero nicotine liquid option for e-shisha pens? Where can I buy the best e-liquids? What can affect your vape juice if they aren’t stored properly? Should you store your e liquids in plastic or glass containers? Can you refrigerate or freeze your e liquids? The key to using an e-cigarette to transition successfully away from smoking is getting the best e-liquid brand available, meaning great-tasting flavours and high-quality ingredients. Here we provide a guide with information on the best UK e-liquids, made using the purest ingredients. Whether you want to fill your own e-cigarette device or use a pre-filled cartomizer. The UK e-liquids market has evolved to provide not only traditional tobacco and menthol flavours, but a whole new and exciting range of flavours such as coffee, fruit and options such as bubble gum. You can now vape CBD oil too! There are a huge choice of premium e-liquids on the market. This guide will take you through the basics, and you can then explore the various short fill and other e juice flavours available. We suggest you keep to tobacco flavoured eliquids when first starting the transition from smoking to vaping. Tobacco eliquids must feel authentic when vaped with no chemical aftertaste so that you can more easily transition away from smoking. BBC Horizon did an in-depth and interesting programme on vaping and health effects titled “E-Cigarettes: Miracle or Menace?” – this is definitely worth watching. The full review details can be found in the Best e-liquids Flavour section here. Our summary of the best clean, tested e-liquids is below. Vsavi was previously known as Eco Vape. Check out their new range of premium short fill vape juice too. You will need to ensure you optimise your wattage and temperature to hit the e juice “sweet spot” as it may be different to other vape juices and is generally at a lower temperature. See their full flavour range here. Whilst Blu is a reasonably well known brand in the UK they are more prominent in the USA where they offer up to 40 mg strength. They offer a good range of quality e liquids. In the UK however they have limited their nicotine strength to 16 mg which is below their competitors (18-20 mg). This is unlikely to satisfy moderate to high smokers. Some users have complained about the constant discontinuing of their favourite flavours, or the ‘improvements’ of classic flavours that leave a dry taste in their mouth. When looking for e liquid with a tobacco taste ensure you buy from a reputable manufacturer. There are few e-liquid manufacturers who are both clear and transparent about ingredients and use a controlled pharmaceutical environment to make their product. The vast majority of e-liquids do not have fully listed ingredients that are pure, clean and shown fit for human consumption. With the huge range of e-liquids available what sets the best e-liquids apart from the rest – how do you choose your e-liquid? Brands such as ECOpure , V2 Platinum and Pure e-Liquid’s Vsavi are e-liquid brands that make their own e-liquids in a laboratory environment. They do not import generic e-liquids to simply re-label or re-brand them. Whether you are looking for the best tobacco e-liquid flavour to replace smoking or simply shisha pen e-liquids to enjoy vaping the various flavours you will find a safe clean e-juice from these manufacturers. Match your cigarette brand to an e-Liquid flavour – Mayfair Kings e-liquid? See the e-juice match! VSAVI offers an organic range of pure VG shisha flavours. See our full review of the best VG e-liquids. This particular VG e juice is formulated to be less viscous than the majority of VG e-liquids so is great for use in “cloud chasing” sub-ohm devices – most use a PG/VG mix in order to “thin down” the liquid so it is practical and usable in box mods and vaporizers. Mixing VG and PG reduces vapour production as the VG element give maximum vapour while the PG is used to thin down the e-juice. VSAVI is 100% organic VG e-juice so no compromises but the same maximum vapour. VSAVI e-liquid is made in EU/UK laboratories and fully tested. Vsavi e-liquid brand is 100% VG e-liquid and most suitable for those wanting extreme vapour production or who have a reaction to PG e-liquid. VSAVI is the best VG e-juice UK brand. Regular Tobacco VG e-Liquid: Nicotine strengths 0%, 0.6%, 1.2%, 1.8%: fuller, more rounded tobacco taste for a truly satisfying ‘smoking’ experience. 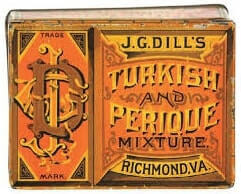 Rich Tobacco: Nicotine strengths 00%, 0.6%, 1.2%, 1.8%: classic distinctive tobacco flavour. Nicotine strengths 0%, 0.6%, 1.2%, 1.8%: a softer milder tobacco flavour. Nicotine strengths 0%, 0.6%, 1.2%, 1.8%: distinctive refreshing flavour. It is clean and pure with a cool minty taste. Vsavi also offer 100% pure VG e-liquid in a range of flavours including Apple, Elder, Cherry, Strawberry Cream, Coffee Cream and a full range of other gourmet mouth-watering vape tastes! Your best option if you need pure clean 100% VG e-Liquid is to try their Vsavi ECO-vape sampler pack of flavours to find your favourite e-liquid taste and then fine tune the strength to your liking. 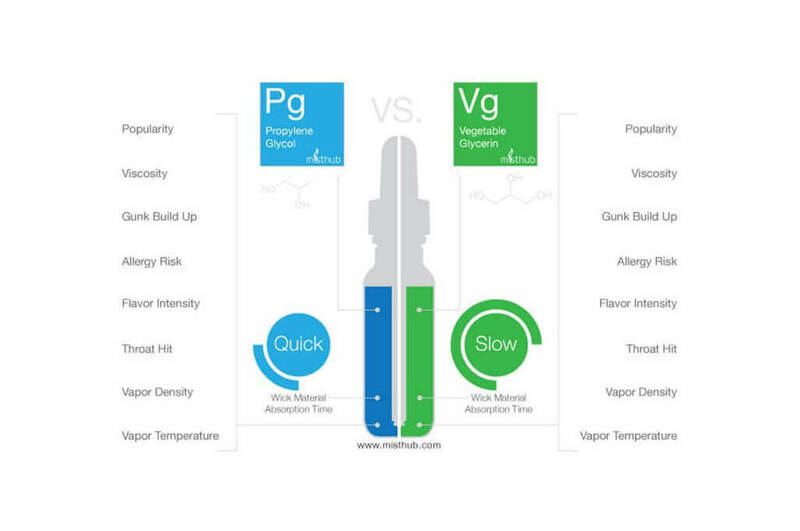 VG has less of a throat hit but produces more vapour than PG e-liquid. Also it is slightly sweeter than a normal tobacco taste. Strengths of PG and VG are not directly comparable as they are absorbed at a different rate into the body so it is not necessarily the case that 1.8% VG feels stronger than 1.2% PG e-liquid. You should also check out their premium shortfill vape juice range. Vapour2 (V2 in the USA) e-liquids are made in laboratories and then they go one step further – all ingredients are listed, not hidden by terms such as ‘flavourings’ or ‘food additives’. Using only pharmaceutical and FDA ingredients you can actually obtain an online batch test of your specific e-liquid. This provides total transparency that is not offered by any other manufacturer or e-liquid re-seller. Red is the V2 classic American tobacco blend of e-liquid. 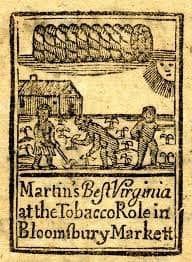 Hearty Virginia tobacco taste, sharper with a hint of sweetness. This bolder flavour is a top seller and is a must have if you are used to rolling your own cigarettes. Cartridges and e-liquids are available in four strengths: 1.8% nicotine, 1.2% nicotine, 0.6% nicotine and 0% nicotine. (Lambert & Butler Silver). Congress flavour has a smooth refined tobacco taste similar to Silk Cut or Embassy cigarettes. Flavour notes start with light American tobacco and end with a smooth finish. Available in four strengths: 1.8% nicotine, 1.2% nicotine, 0.6% nicotine and 0% nicotine. (John Player Blue and Mayfair King Size). Cool and refreshing, menthol is one of the most most popular flavours. Even non-menthol smokers love the crisp refreshing flavour formula. Menthol cartridges and e-liquids are sold in four strengths: 1.8% nicotine, 1.2% nicotine, 0.6% nicotine and 0% nicotine with a spring green colour. Peppermint flavour e-liquid cartridges feature peppermint and sugar swirled together with a touch of spearmint; this flavour has a strong following. Peppermint cartridges and e-liquids are available in four strengths: 1.8% nicotine 1.8% nicotine, 1.2% nicotine, 0.6% nicotine and 0% nicotine. Green Tea Menthol is bursting with refreshing mint combined with the smooth, soothing & mellow properties of green tea. A favourite of many menthol smokers. Get yours in four strengths:1.8% nicotine,1.2% nicotine, 0.6% nicotine and 0% nicotine. An e-cigarette requires a liquid in order to produce vapour so that nicotine can enter the body. This may be in the form of a prefilled cartomizer or alternatively what is known as a tank system which you fill yourself from a bottle of e-liquid. Generally for those starting to vape the prefilled cartridge e-juice option is more straightforward and should make it easier to transition from smoking to vaping. The cartridge or cartomizer usually contains the e-liquid or e-juice already so that you simply connect it to your e-cigarette and you are good to go. The tank system consists of an empty container or tank that you need to fill with e-liquid yourself prior to connecting to your e-cig battery. Many people prefer the simplicity of prefilled cartridges as there is no issue with leaks and spillage associated with filling your own. Both prefilled and DIY liquid refills from the same e-juice brand can give similar results regarding taste and vaping experience if you use the same e-liquid. Our research shows the V2 Congress e-juice is the best on the market as it uses the highest quality tobacco flavour available. The prefilled cartridges generally feel a little smoother whilst the tank systems give a little sharper taste. For those wanting to fill their own, use lab tested e-liquid where full details of ingredients are disclosed. Shop here, for a full range of tobacco and shisha flavours. If you require VG only e liquid then The Pure e Liquid Shop offer the the Vsavi and VPURE e-liquid range of tested proper 100% VG e-Juices. E-liquid tank systems used to be associated with considerably larger e-cigarettes called “egos” or “mods” whilst cartomizers were used with what are known as cig-like e-cigarettes. Much has changed recently with the advent of the mini-tank e-cigarette – sometimes referred to as a vape pen or shisha pens. These are now available from some e-cig manufacturers and are similar in size to cig-like e-cigarettes but allow the user to fill the mini-tank with their own e-liquid (see V2 mini shisha tank system). Pre-filled carts generally work out slightly more expensive, however as both options are significantly cheaper than traditional cigarettes your choice should focus on your preferred taste and whether you want to use bottled e-liquid containing nicotine. Many tank systems rely on variable voltage batteries so that you can vary the voltage in order to get the optimum voltage for the e-liquid you are using. Cartomizers and batteries bought together are already optimised for the e-liquid contained within the cart – this means less hassle. Modern cartomizer technology now used by a few e-cigarette manufacturers can mean you get as much vapour from a prefilled cartridge as you can get from a tank – this was not generally the case in the past, with tank systems producing more vapour in many cases. Some may like the paraphernalia associated with complex devices but most would prefer something straightforward – simple vaping. E-liquid for tank systems is produced and sold by both e-cigarette companies (who can also supply pre-filled cartomizers with the same e-liquid) and also by independent e-liquid sellers. Make sure you buy from a recognised source that provides up to date lab test reports. Value for money and the manufacturers own description of their e-liquid ingredients and content. E-Liquid Quality "Classic variant... contains only 3 ingredients: pharmaceutical-grade nicotine, glycerol and purified water." "Primarily purified water, nicotine, propylene glycol and flavour" MSDS test shows 16 chemicals. "The base liquid in e-cigarette cartridges is a mixture of liquid nicotine, tobacco extract flavourings and propylene glycol" "Cartridges contain 3 primary ingredients, nicotine, food grade flavorings (FDA approved) and propylene glycol." Full on-line lab. report on all e-liquids and refills. On 20 cigarettes per day equivalent, the most expensive e-cigarette at over £1300 works out to be TWICE as expensive than the least expensive e-cigarette. The running cost of the Vype e-stick (who only have 2 tobacco flavours and only 1 strength) is £996 per year whereas V2 (3 tobacco flavours at 5 strengths) is around £650 per year – the Vype running cost is 50% more costly. These are important facts to consider when making your choices. In this section we look at a number of the most frequently asked questions about vaping e liquid as a guide to help you decide what e liquid is right for you. We have reviewed our favourite vape juices and all three are TPD compliant so represent the safest e liquids for vaping. All are effective at producing excellent vapour and this helps in nicotine absorption. If budget is not the limiting factor and if you are still unclear which e liquids suits you best we might be able to help break down the options further. This is a little more difficult to answer as it is purely a personal choice. It’s best to find an e-cigarette brand that gives an option of a cartomiser multi-pack that contains various flavours of e juice – generally go for 12 mg or 18 mg nicotine strength if you were used to standard strength cigarettes then reduce or increase the strength depending on your particular nicotine needs. It may take a little patience to establish the right strength and flavour but if you use an established e-cig company they will have done extensive testing to get tobacco e-liquid taste options right – this can take a lot of hard work out of the equation. A minority of vapers may have a bad reaction to e-liquids whilst vaping. Generally this is an allergic reaction to propylene glycol contained in the e-liquid. Symptoms range from nausea or swelling to having an irritable or itchy throat. If you have a bad reaction to PG based e-liquids you should use 100% pure VG e-liquid, see the Best VG e liquid section above for recommended pure & tested vegetable glycerine e-liquids. There are many cheap shisha pens on the market which may include poor quality “free e-liquid”. Make sure you buy your e juice from a reputable source. Zero nicotine e liquid can be used by both vapers and shisha users. See our shisha section. In theory an e-liquid, e-juice or vape juice is a relatively simple fluid that contains three ingredients: nicotine, propylene glycol (PG) [or alternatively vegetable glycerine (VG)], and flavourings. The nicotine is the addictive substance found in cigarettes which is combined with either VG or PG or a combination of the two. The VG or PG is what gives the vapour content and this acts as a “carrier” for the nicotine to enter the body. It also gives the “throat hit” associated with vaping. The flavourings are added to the e-liquid to give the taste – nicotine has no real taste. There is little or no legislation that covers all the ingredients or the purity of what goes into your e-liquid so it can be hard to know you are buying high quality liquids from a safe and reliable source. TPD regulations go some way to ensure e liquid safety but it doesn’t go so far as full transparency. It is vital that you buy e juice from a company that provides as much specific and up to date information as possible, and uses liquids that have been laboratory tested to ensure ingredient purity and safety. The Tobacco Product Directive now goes some way to ensuring what ingredients can go into e-liquid and restricts certain substances. There are a number of specific manufacturers like V2 Cigs, VSAVI and CN Creative ECOpure who focus on e-liquid purity ie. e-liquid health and safety by using pharmaceutical grade nicotine and/or offering e-liquid testing. These gourmet e-liquids are the best e-liquid UK brands offering only premium e-liquids. Both Vpure and Vsavi are 100% pure VG e-liquid. This may taste a little sweeter to some but for those who react to PG liquid it is essential and a first rate e-juice. For cloud chasers VSAVI VG e-liquids are second to none and contains no PG. However the vast majority of e-liquid providers do not tend to give the same level of transparency. V2 is the only company we found that gives full independent laboratory analysis on their e-cig liquid and refill content. Vype electronic cigarettes used to make it very clear that they did use pharmaceutical grade nicotine in their Vpure e-juice – but with the new range it is not so clear. Drilling down into the Vype site you will find that they state their base ingredients are pharma grade but this doesn’t tell you the whole story – what about the Vype e-liquid content that are not “base ingredients”. The other factor with Vype is that some of their e-liquid strength is limited to 12mg which will generally only suit the lightest of smokers. Companies like Totally Wicked who supply e-liquid state they use “only the highest grade UK source products” or import from China under strict guidelines but do not offer independent testing on all their e-liquid. Note that TW started to do tests on their own products and hope that they do the same with other makes of e-liquid that they sell. With the Tobacco Product Directive more e-liquid and e-cig suppliers will need to conform or be pushed out by those that do. There are not many e-liquid stockists who produce quality exclusive safe gourmet e-juice with full transparency regarding ingredients. 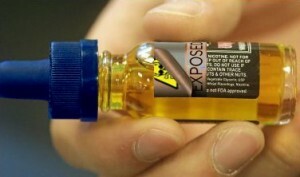 TPD regulations go some way to legislate e liquid safety. As yet this legislation does not include e liquid manufacturers having to list every ingredient. Many stores, online shops and market traders simply resell eliquids with no batch testing. What are you inhaling? For peace of mind always use e liquid brands that give full details of all ingredients. Both V2 e liquids and Vsavi e liquids list full details of all ingredients. If you’re thinking about storing away some of your liquids, follow our advice to make sure they last as long as possible without losing any of the fantastic flavour. PG based liquids will last a lot longer than VG liquids. PG acts as a natural antibacterial substance, meaning that any bacteria that comes into contact with it, should be destroyed. Heat, light and air not only change the way your e-liquids look, but they can also alter the taste. Choosing whether to use plastic or glass containers to store your e liquids should depend on how long you’re planning on storing them for. While a cool, dark, dry cupboard is perfect for short-term storage, you may want to consider putting your e-liquids in the fridge. Find out about VIP e cigarettes, SkyCig, Logic Vapes, Vapestick, Vype and other e-cigarette providers with big marketing budgets – do their e-cigs match up to their marketing budgets? E-lites reviews (now LogicVapes) show that Logic Vapes focused on e-cigs with no e-juice option ie cartomizer option only. The Vapourlites reviews FAQ section only contains brief details of ingredients “The liquid in all Vapourlites products are made up of flavouring, liquid-nicotine (when ordered), vegetable and propylene glycol and manufactured here in the UK”. Whilst reviewing blu ecigs, they have this to say in their UK “Certification” section: “blu carries out quarterly batch testing with several companies. Every quarter, we take a selection of our products to undergo full testing. That way, they meet our high standards”. So only a selection of their product undergoes testing. They have no detailed explanation of ingredients in their e liquids. See the VIP review for details on their e liquids. The puff test is based on the same person, not a mechanical device, testing each e-cigarette for a full day. A cigarette lasts 7 puffs for this individual – it does not seem a lot but test it yourself. 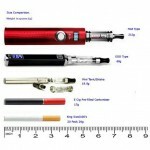 The liquid refill prices for each e-cigarette manufacturer are based on best price for a one-pack of refills. Vapour production on Green Smoke and V2 Cigs e-cigarette is significantly greater than the others tested. Logic Vapes/e-Lites gave almost no throat hit i.e. the feeling one gets when smoking. 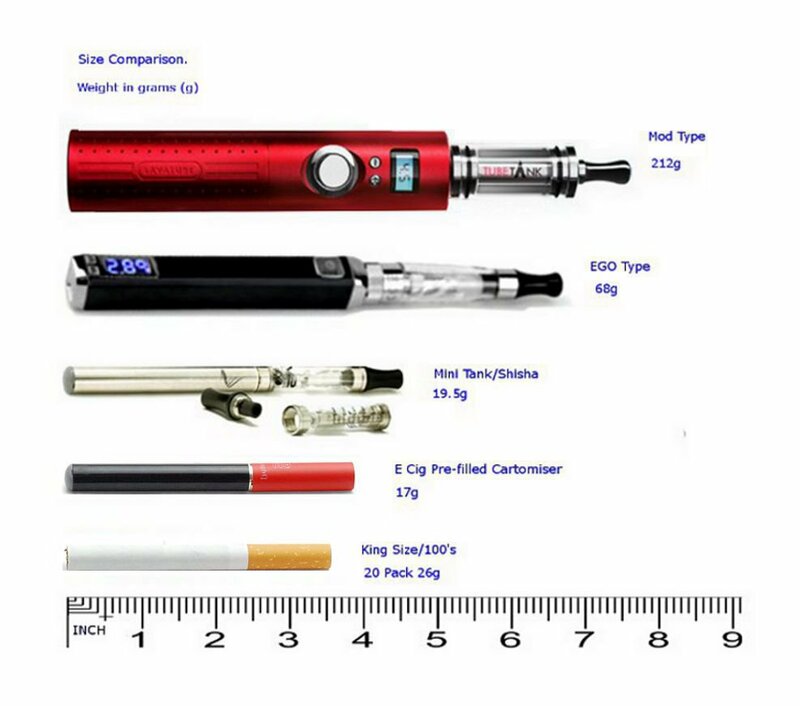 All have different costs and can tick certain boxes – see the review comparison chart table of some of the more important aspects of some well marketed or better known e-cigarettes. Disclaimer: The views and opinions expressed in this and other articles on the site are those of the authors and do not necessarily reflect the results of other smokers. Examples, weights, measurements and other analysis performed within this article are only examples of our results. They should not be utilised in real-world as they are based only on very limited testing of a small selection of products from each brand. Assumptions made within the review analysis are not necessarily reflective of all the brands listed and we suggest you conduct your own analysis and compare the results with our findings. Not everyone inhales the same amount when vaping. Vapers from Norway view the best e-cig links below.